At Docs Smokeshop we offer a variety of assorted hand pipes. We love to support our American glass blowers. Our hand blown glass pipes range in price from $12.99 and up to hundreds depending on the particular artist! We also carry a line of imported to be able to keep up with the competition. We offer just a small selection on our web page. 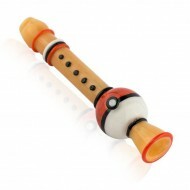 If you come in the store you can see the large variety of handpipes we have to offer. Hand pipes whether they be made of glass, silicone, wood or metal, are a smoking past time. Sitting around with friends or just binge watching your favorite show, the hand pipe is something you reach for to provide relaxation. Ash catcher by Artie. Horns, green and blue detailing. Inline diffusion. 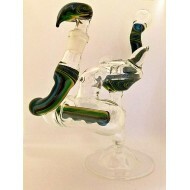 14 MIl This piece is design..
Buy Chameleon Glass at Doc's. Chameleon Dog Bone Pipe. Support your local animal r..
Buy Cheech and Chong Water Pipes at Doc's Smokeshop. Strawberry, Cheech and Chong Water Pipe by F..
Cheech and Chong Water Pipe. Strawberry. 7.25"
Buy Empire Glassworks at Doc's. Empire Glassworks Flute. Borosilicate Glass wi..
Buy Scott Bennet Glass at Doc's. Electroformed Chillum by Scott Bennet. Beautiful wrap with a chu.. 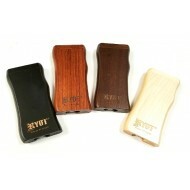 Available in an array of high quality woods, the RYOT® Taster Box's patented magnetic poker and lid .. 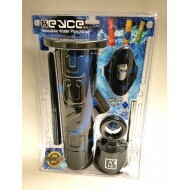 The ice water pipe The unique design of the Eyce 2.0 delivers an unparalleled smoking exper..
KillaDelph Sherlock. Black and gold with screened bowl and stand. Docs Smokeshop. Best sh..